MainAll NewsJewish WorldHow Can Parents Prepare Their Teens for Aliyah? How Can Parents Prepare Their Teens for Aliyah? Experts explain to Arutz Sheva why keeping teens in the loop during the immigration process is key to successful Aliyah. 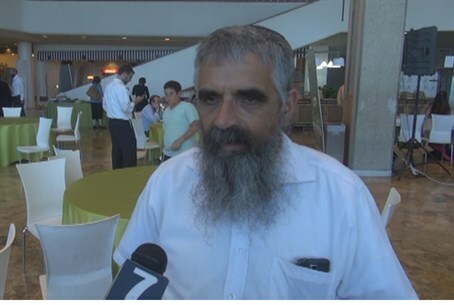 Arutz Sheva attended a Tzohar conference on the Anglo community and integration this week, where several experts spoke on the special challenges for immigrant teenagers. Rabbi Yuval Cherlow, head of Yeshivat Hesder AMIT Orot Shaul, explained to Arutz Sheva what immigration is like in the eyes of the typical teen. More than just the typical teenage struggles to understand the self and the adult world, he said, there are cultural issues at play which can make acclimation that much harder. "The teenager lost his friends, lost his abilities," Rabbi Cherlow noted. "He plays football and not soccer. Everything has changed." 'If we do not understand it, then we will make a big mistake in preparing ourselves toward Aliyah." Joy Epstein, family therapist for the teen outreach organization Kav L'Noar, agreed. "Teens are uprooted just at the period of time when they start to develop their own identity," she said. "Having to find new friends, having to start new schools without language, not being able to communicate can impact a kid's self-esteem." Epstein recommended that parents think carefully about how to prepare their teens best for Aliyah, and to ensure to choose a community and an environment that suits the whole family - especially if teens have special needs or other issues. Teens should be involved in the process. She also noted that, in terms of peer groups, having English-speaking friends can be important. Rabbi Cherlow concluded by admitting that not every challenge can be solved - but that an attitude of doing the best we can can help the situation. The priority for parents is to relax - and also to help their kids without criticism.